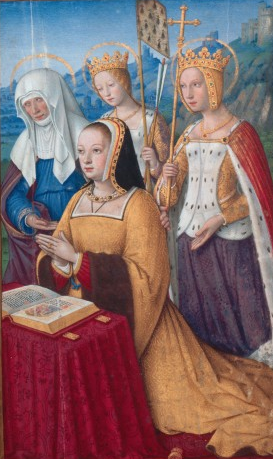 Anne of Brittany was twice crowned Queen of France. Merci! This was an interesting read. When I was in middle school, I read a biography about Anne of Brittany written for young readers. It had a few illustrated black and white pictures of Anne and her family. Alas, I can't remember the title or author! In July 2004, I visited the French historic port city of St-Malo on a weekend excursion and there were places named for her. You're very welcome princess. Glad you liked it. I find her to be quite a fascinating character. Very strong personality. I'm not sure if Louis loved Anne but he certainly respected her!